Some of you would say, “Come on Lucas, don’t go there, not now.”Others would have said the same thing a few months ago. That is not the case. It does not matter who is the leader and who occupies the leadership position. The Scripture is clear, we should pray on a regular basis for our leaders. This is a very small decision, but it has tremendous consequences not only for our personal lives, but for the lives of a whole city, state, and country. Paul is not asking Timothy to pray only for those who are on the side of the Christian faith or the church. No, on the contrary, Paul is asking Timothy and the church to pray for a terrible leader. His name was Nero Claudius Caesar Augustus Germanicus, known generally as Nero. The other thing that Paul is asking of Timothy is to pray for and not against the authorities. We should pray for their personal life, family, health, and spiritual life. We should ask God to guide them and help them to make righteous decisions. We also should pray for peace, so we would be able to live our Christian life without interference. My friend I do not know which side you are on. 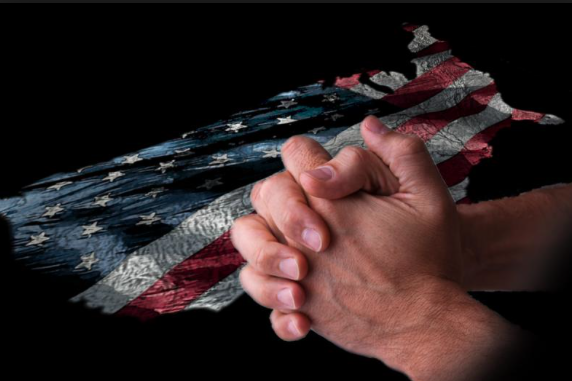 If you are a disciple of Christ, it is your obligation to pray for the authorities, all of them, not only for those who you like, sympathize with, or are on your side. Things in our cities, states, and countries would be different if all of us would make this small decision to pray for our leaders. This entry was posted in Uncategorized and tagged Christian, Christianity, encouragement, Faith, Leaders, make a difference, making a big difference, Prayer, Small decisions. Bookmark the permalink.